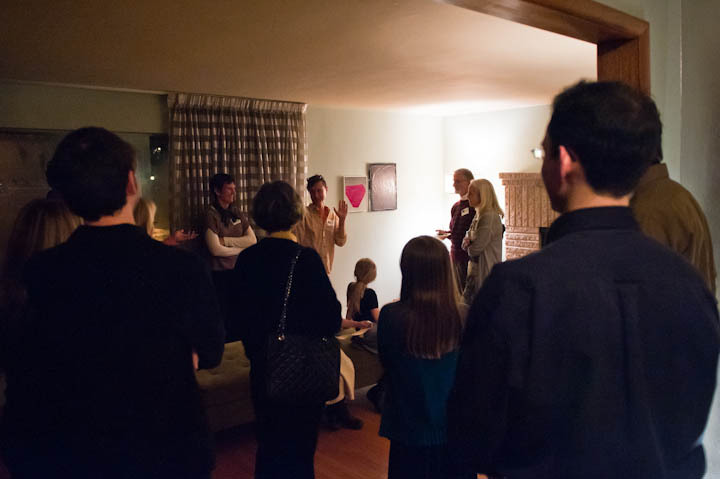 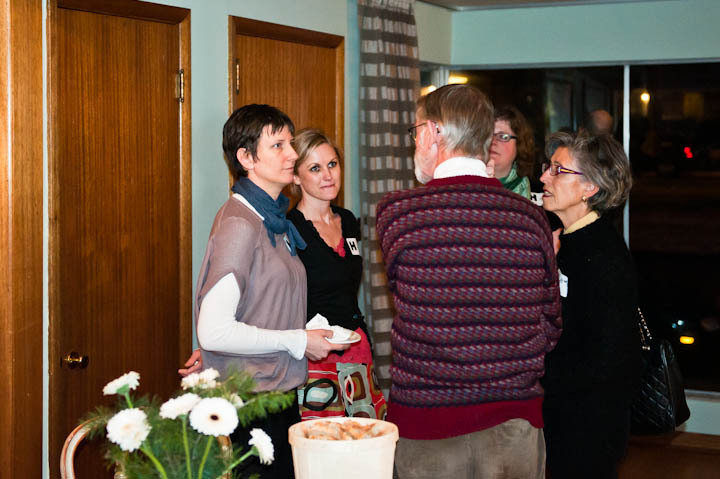 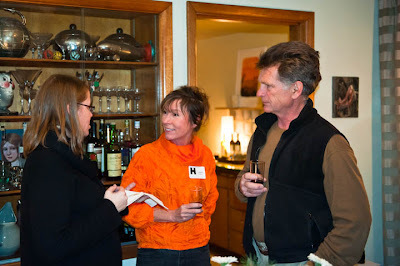 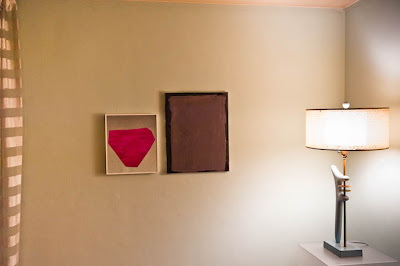 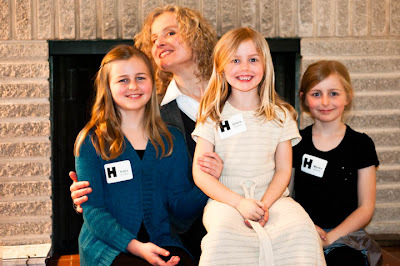 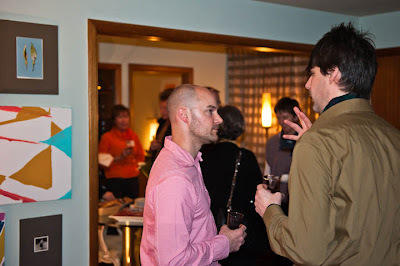 On February 23, 2011, members of the Henry Contemporaries - a patron level group of the Henry Art Gallery - enjoyed a private visit and reception at SEASON, a gallery in the home of Seattle artist Robert Yoder. The gallery is currently exhibiting collages and photographs by Ruth Van Beek and oil paintings by Philip Miner. 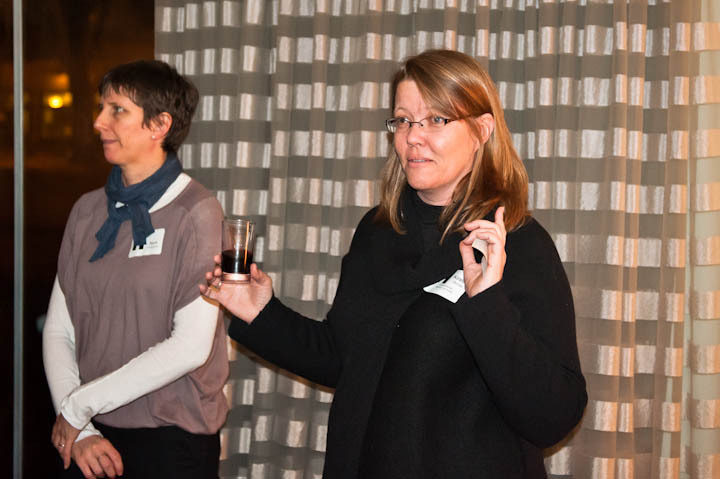 Yoder, Miner and Henry associate curator Sara Krajewski offered remarks about the gallery and the art. 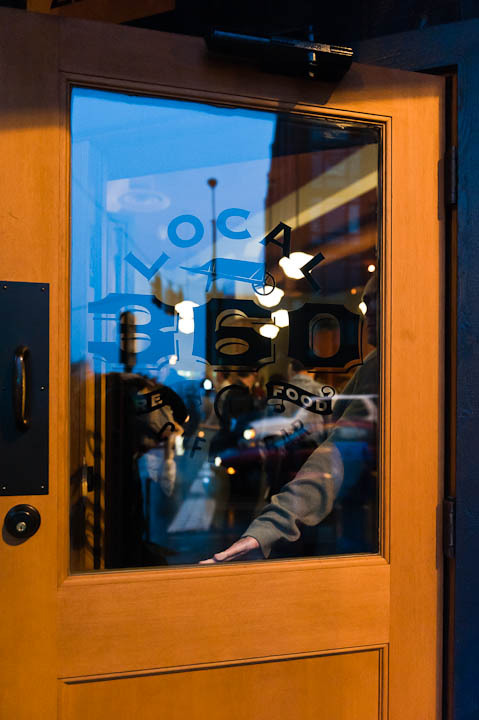 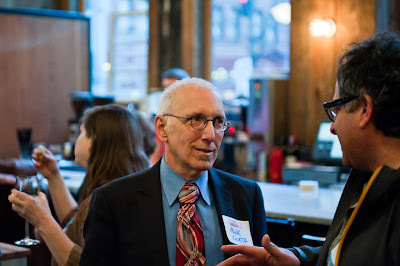 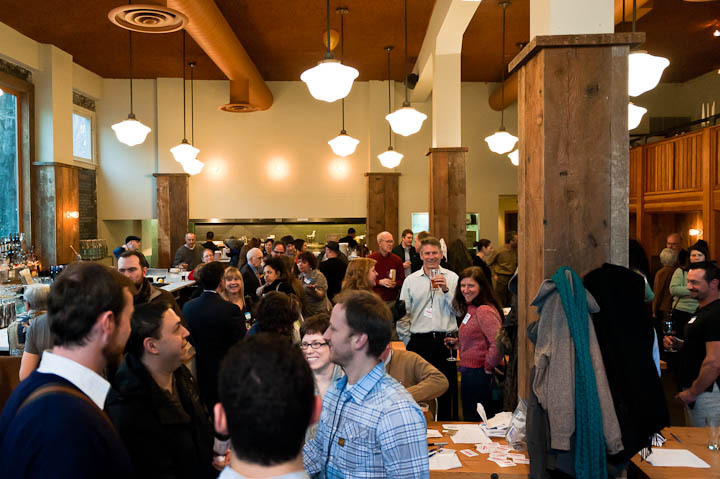 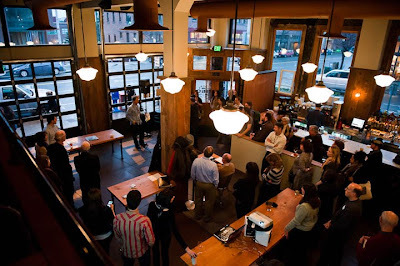 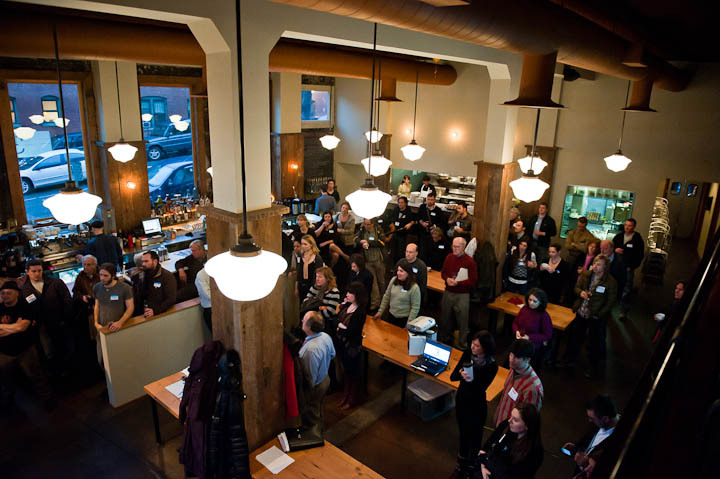 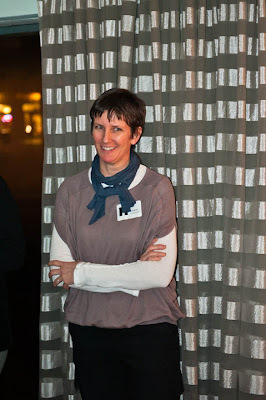 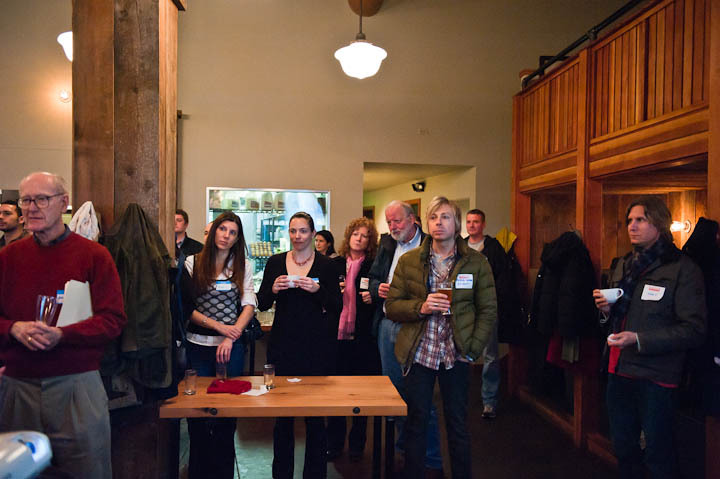 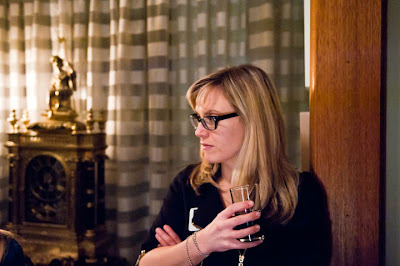 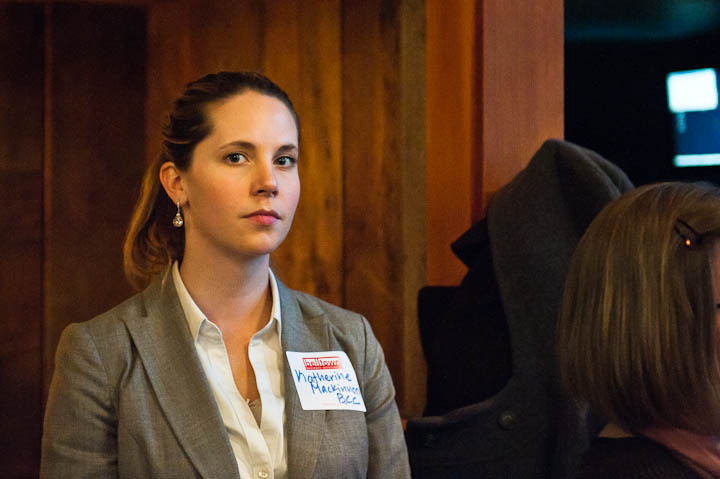 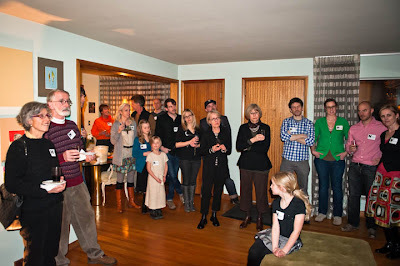 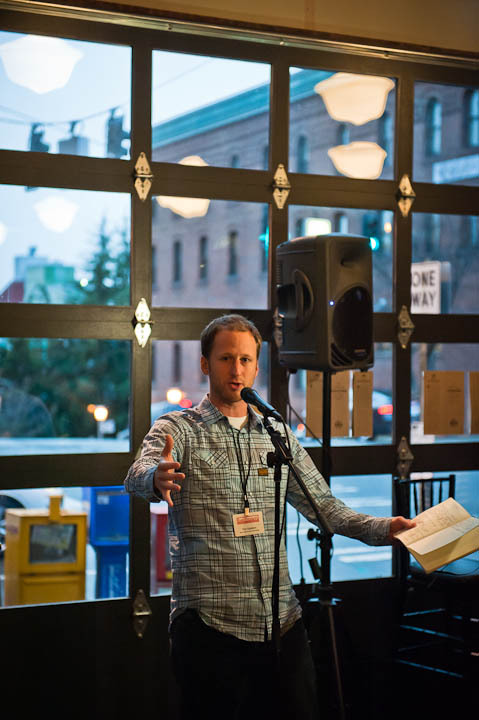 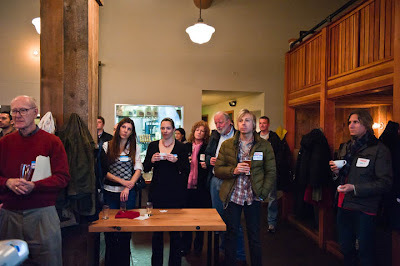 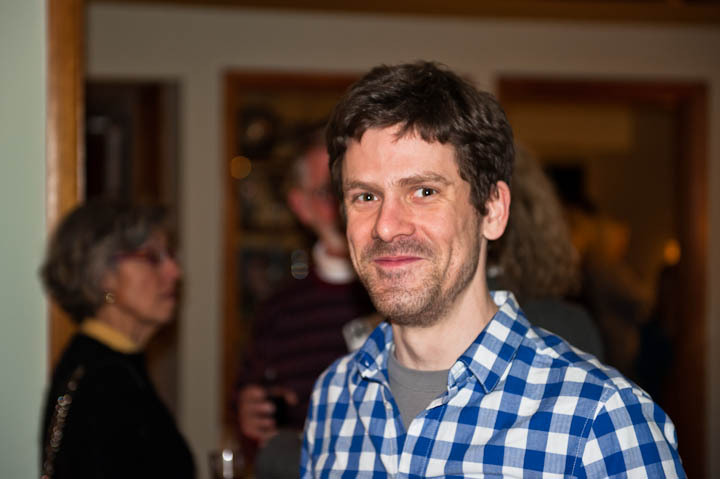 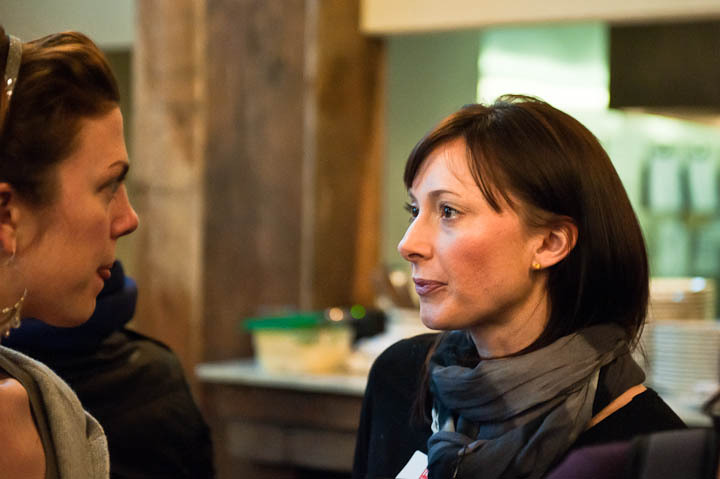 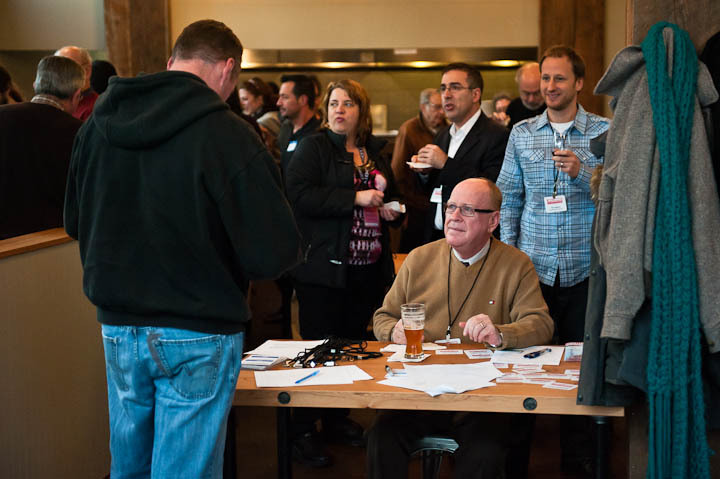 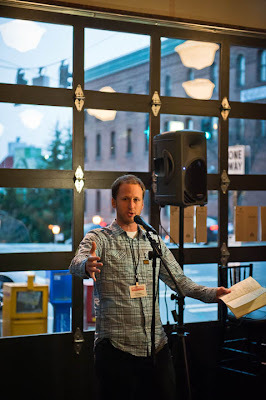 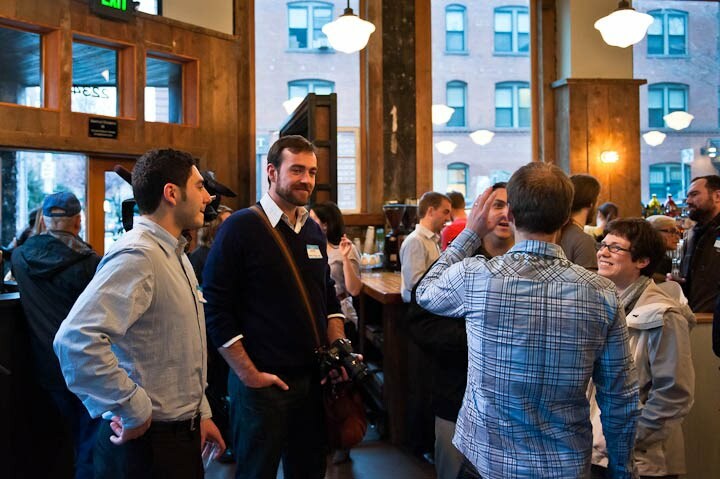 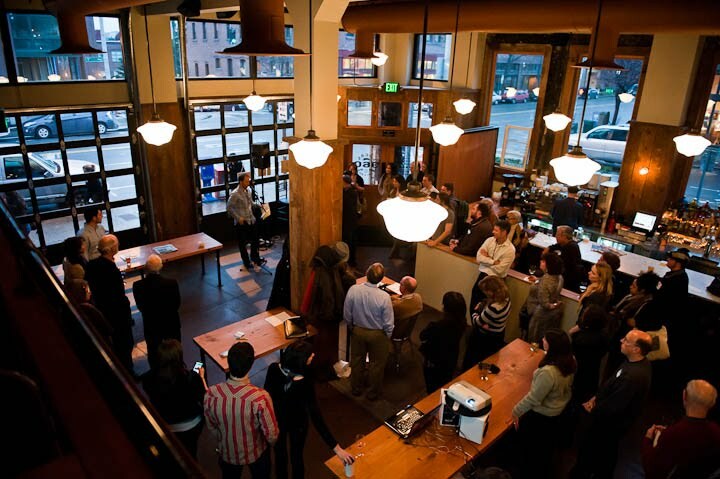 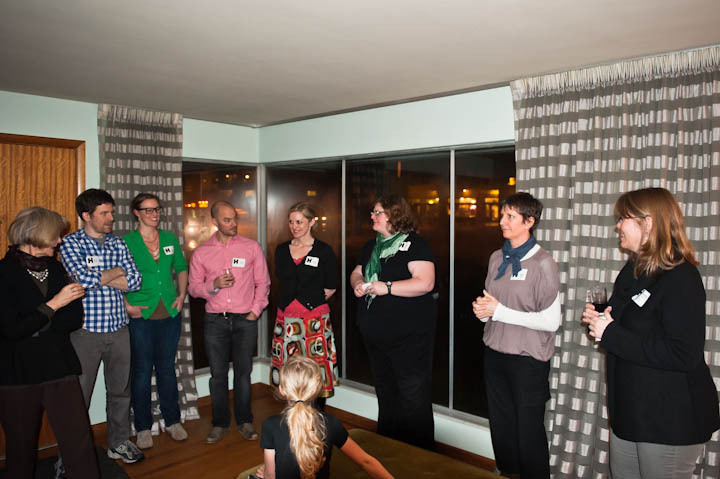 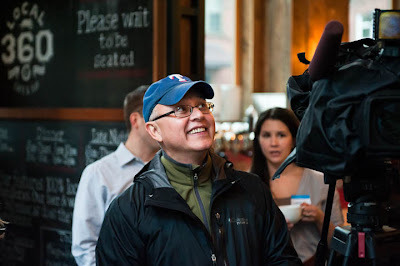 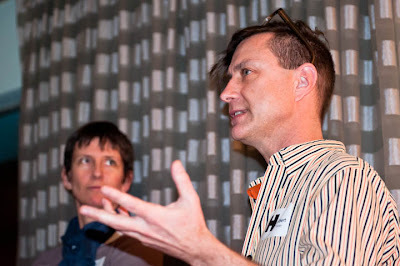 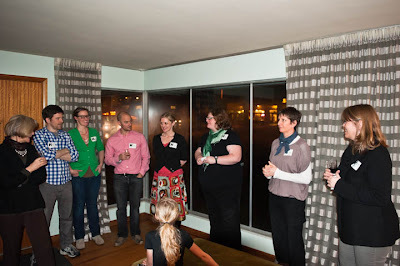 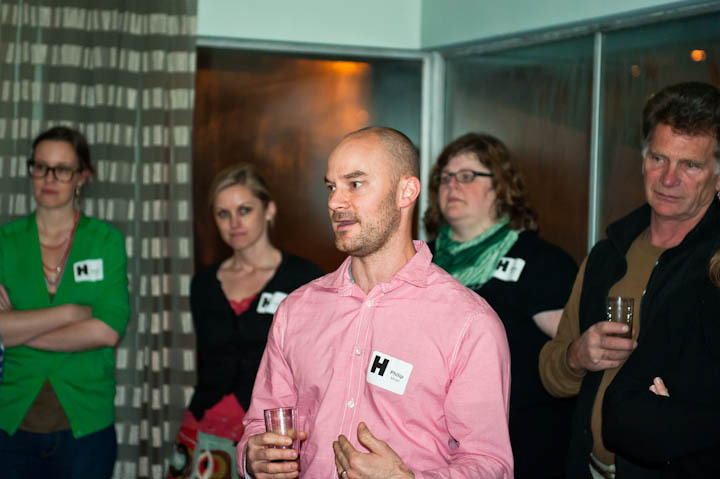 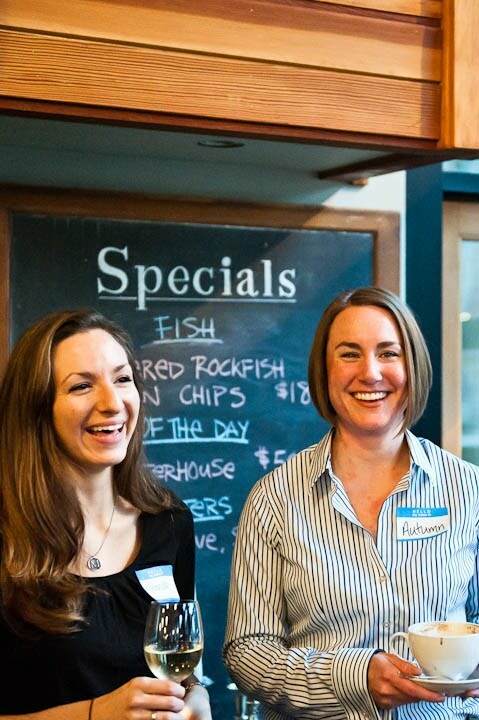 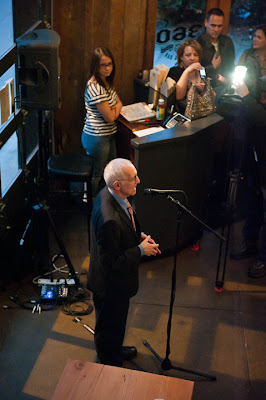 On February 23, 2011, business owners, community activists and residents of the Seattle Belltown neighborhood gathered for a kick-off meeting at Local 360 restaurant. 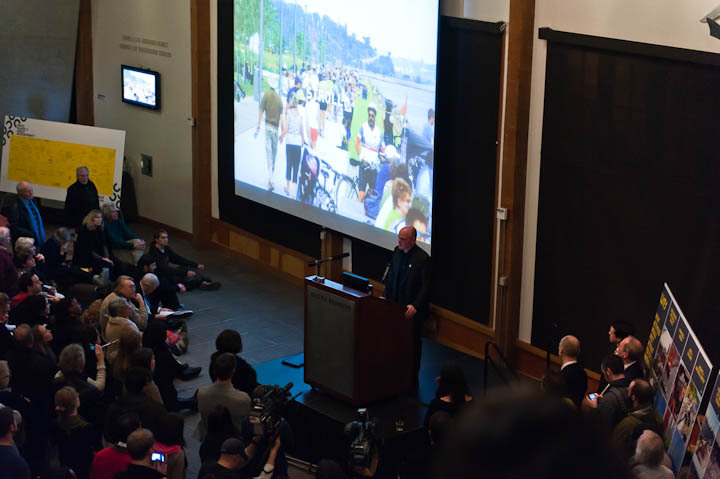 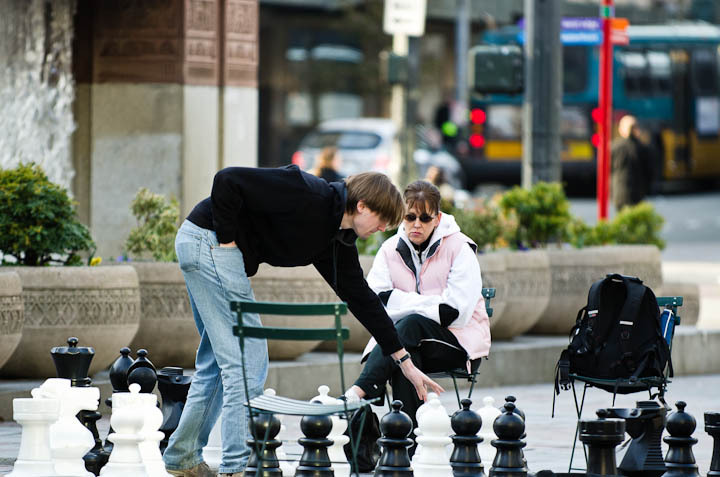 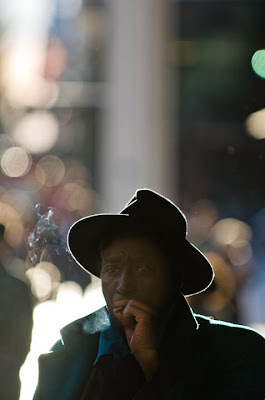 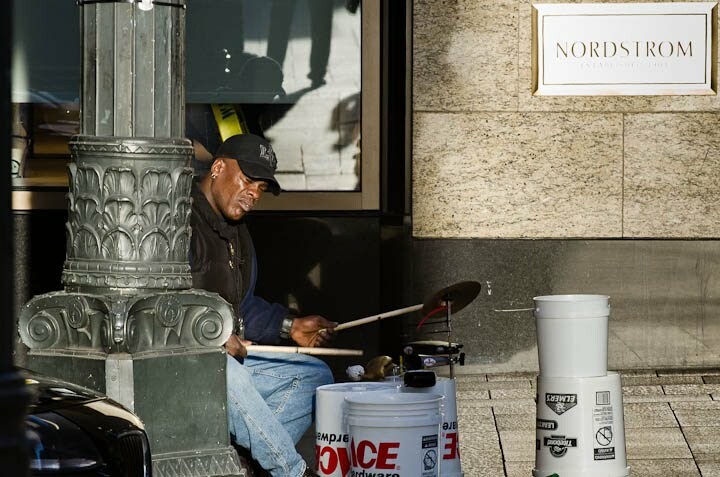 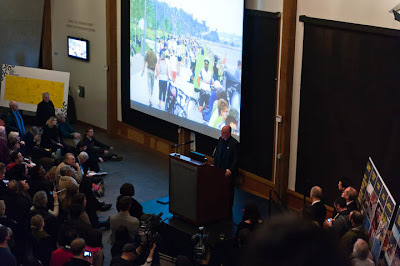 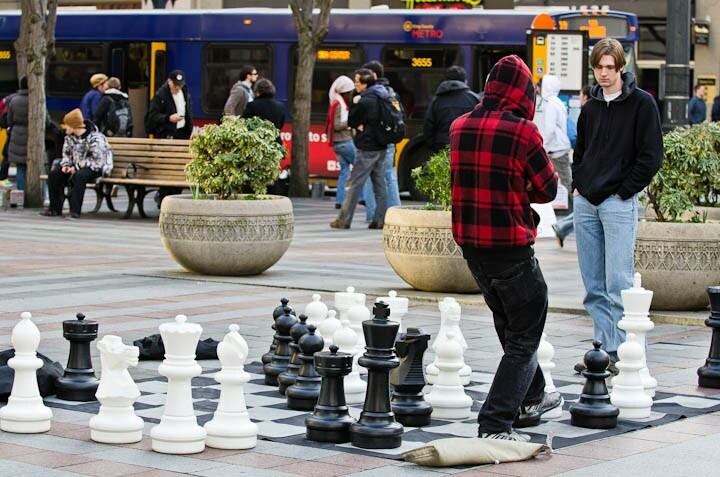 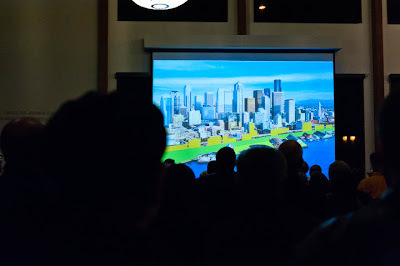 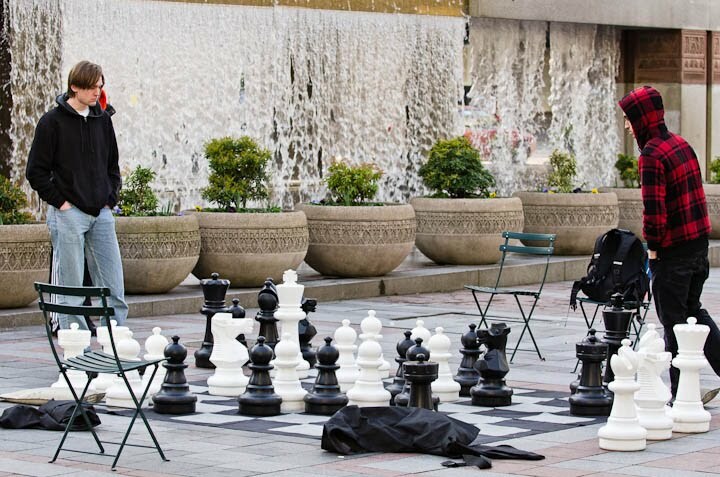 The Let’s Take Belltown Back event began a process aimed at addressing both real issues facing the community and an improving an arguably unfair image of Belltown held by many in Seattle. 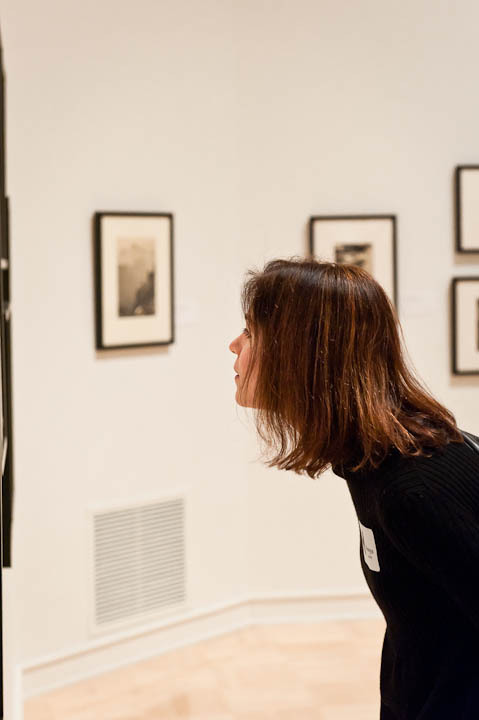 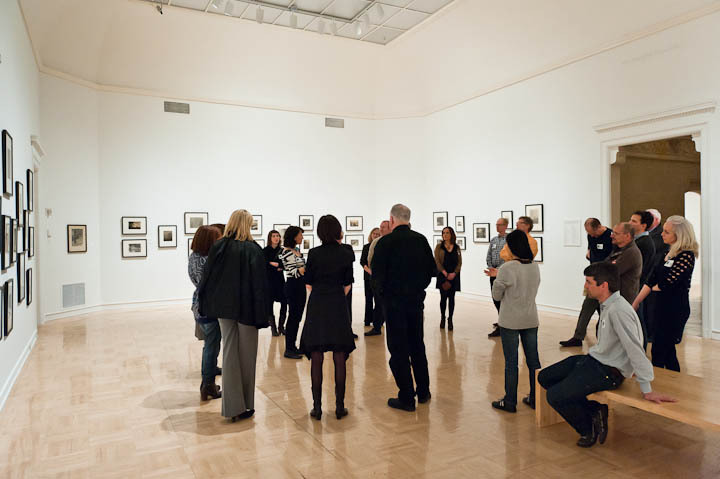 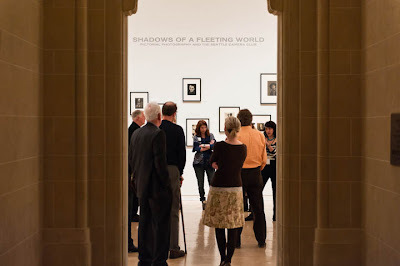 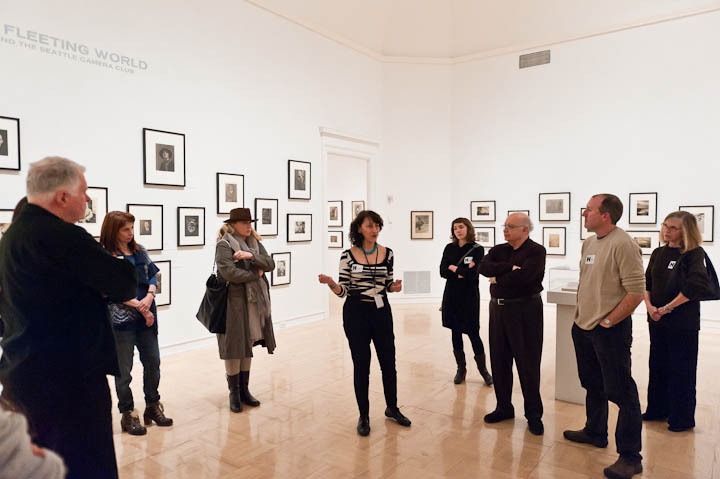 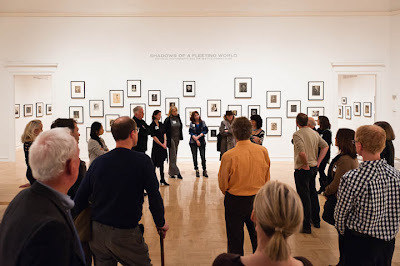 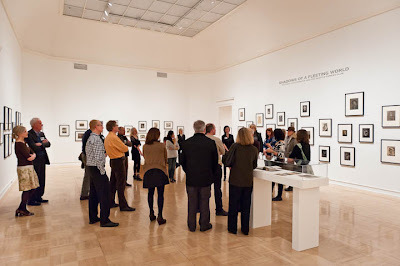 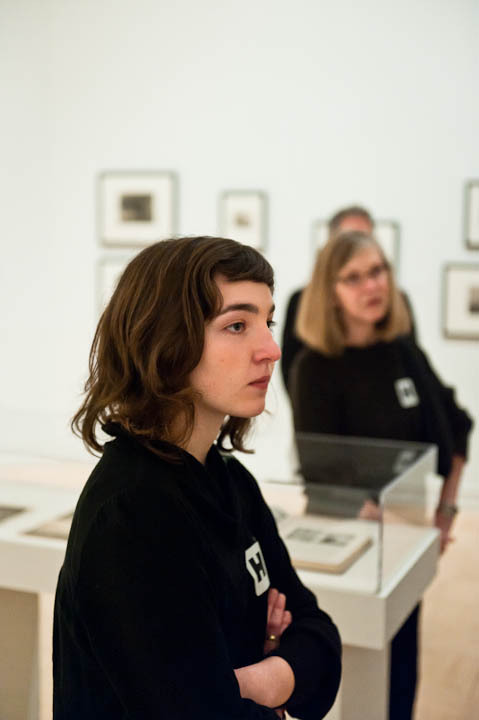 On February 27, 2011, Henry Art Gallery chief curator Elizabeth Brown led museum patrons on a walkthrough of the Shadows of a Fleeting World exhibition. 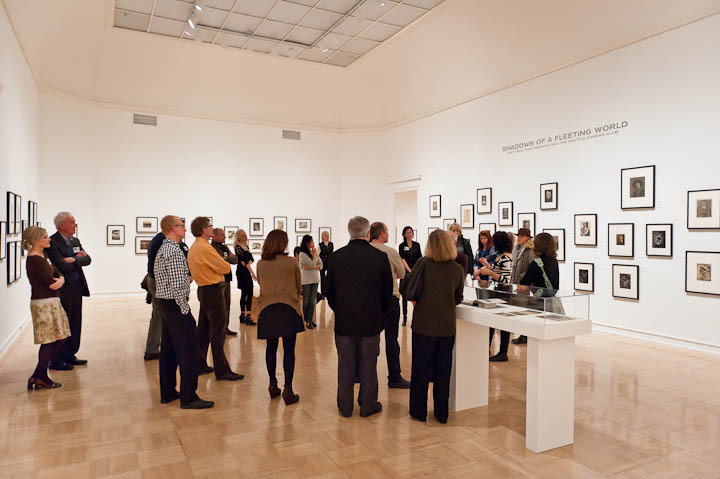 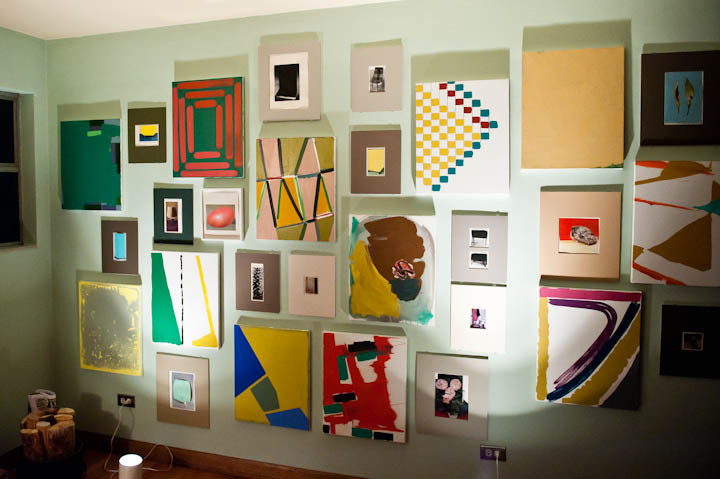 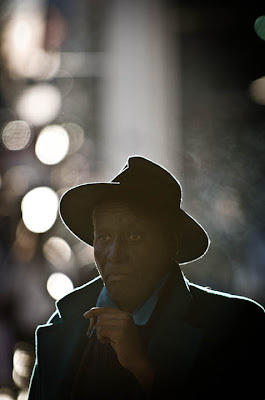 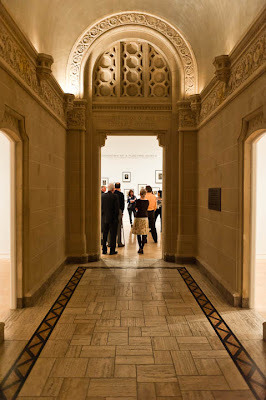 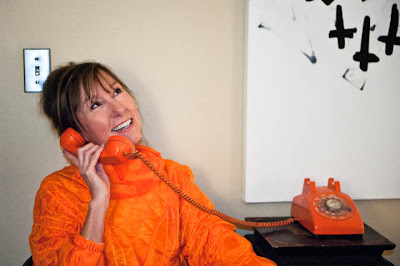 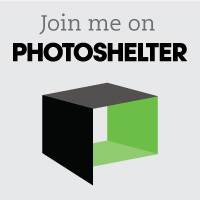 The exhibition runs from February 12 through May 8, 2011. 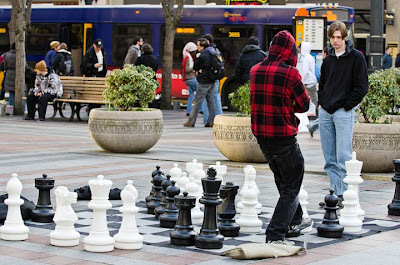 In Seattle, the process is underway to replace the aging Alaska Way Viaduct with a tunnel. 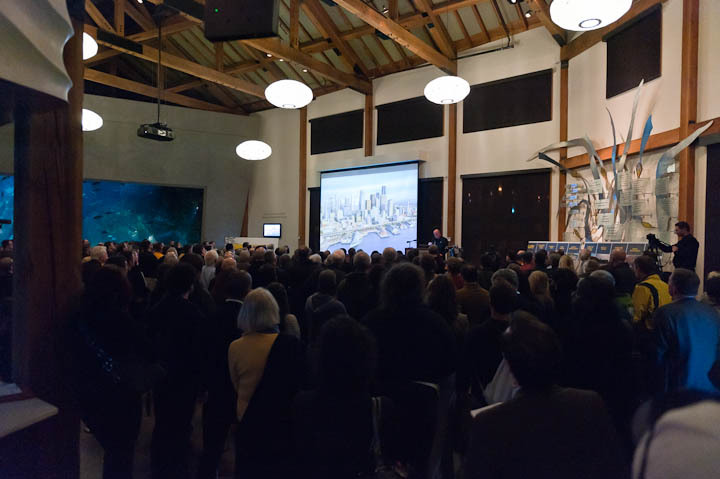 When the hulking mass of the viaduct is removed, it will open up opportunities to redevelop the downtown Seattle waterfront. 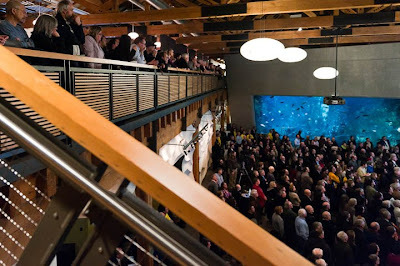 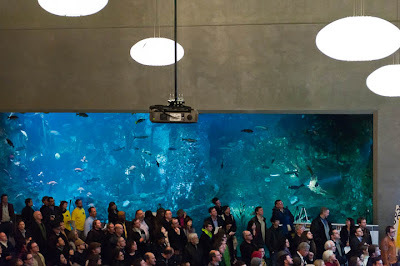 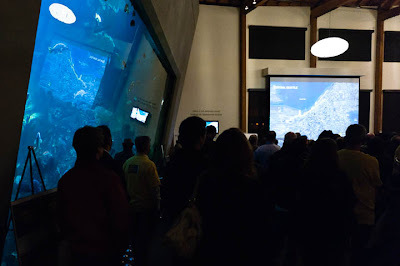 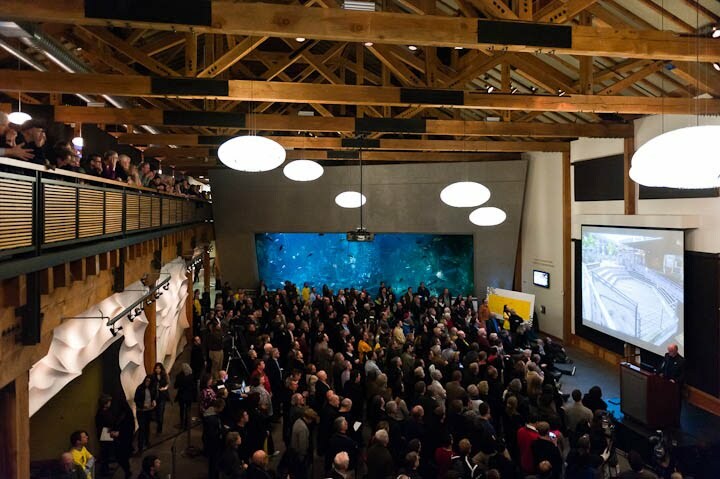 Towards that end, a Waterfront Public Kick-Off Event was held on February 17, 2011, at the Seattle Aquarium, to provide information and elicit input on the re-design process.